George Kennan was born in Milwaukee, Wisconsin, on 16th February, 1904. After graduating from St John's Military Academy he studied history at Princeton University. In 1926, Kennan joined the foreign service and was appointed as vice-consul in Geneva. This was followed by posts to Berlin, Tallinn and Riga. Kennan was being trained as an expert on the Soviet Union and in 1929 was sent to the study Russian at the University of Berlin. In November, 1933, Franklin D. Roosevelt established diplomatic relations with the Soviet Union. William C. Bullitt was appointed as United States ambassador, and Kennan became third secretary at the embassy in Moscow. After two years in the Soviet Union he was assigned to Vienna. This was followed by spells in Prague and Berlin. George Kennan was opposed to the idea that the United States should appear to be supporting the Soviet Union against Germany. He feared this would identify the United States "with the Russian destruction of the Baltic states, with the attack against Finnish independence, with the partitioning of Poland... and with the domestic policy of a regime which is widely feared and detested throughout this part of the world". The bombing of Pearl Harbor, brought America into the Second World War. Kennan was still in Nazi Germany at the time and he was interned. In April 1942 Kennan was released and was reassigned to Lisbon in Portugal. At the time this was a notorious centre of international espionage. In 1944 Kennan returned to the Soviet Union where he took up the post of minister-counsellor and chargé d'affaires. George Kennan remained critical of the actions of Joseph Stalin. This included the decision by Stalin not to order the Red Army to support the Warsaw Uprising against the German Army in 1944. Kennan reported to Franklin D. Roosevelt that he should have a "thorough-going exploration of Soviet intentions with regard to the future of the remainder of Europe". After the war Kennan returned to the United States where George Marshall appointed him as director of the State Department's policy-planning staff. Over the next couple of years Kennan developed the foreign policy of containment. Kennan argued that communist influence should be contained within existing territorial limits, either by armed intervention or, more often, by economic and technical assistance. On 22nd February, 1946, Kennan sent a series of five telegrams to President Harry S. Truman. This eventually became known as the Long Telegram. It included the following passage: "At the bottom of the Kremlin's neurotic view of world affairs is traditional and instinctive Russian sense of insecurity. Originally, this was insecurity of a peaceful agricultural people trying to live on vast exposed plain in neighborhood of fierce nomadic peoples. To this was added, as Russia came into contact with economically advanced West, fear of more competent, more powerful, more highly organized societies in that area." The following year Kennan advocated direct military intervention in Italy: "This would admittedly result in much violence and probably a military division of Italy but it might well be preferable to a bloodless election victory, unopposed by ourselves, which would give the Communists the entire peninsula at one coup and send waves of panic to all surrounding areas." As Frances Stonor Saunders points out in Who Paid the Piper: The CIA and the Cultural Cold War? (1999): "Truman, fortunately, didn't go along with this precipitate suggestion, but he did authorize covert intervention in the Italian elections instead." Kennan wrote an anonymous article in the Foreign Affairs magazine in July 1947, where he argued that the Soviet Union was fundamentally opposed to coexistence with the West and desired a world-wide extension of the Soviet system. However, Kennan argued that communism could be contained if the West showed determined opposition to their expansion plans. Kennan's ideas subsequently became the core of United States policy towards the Soviet Union and was reflected in both the Truman Doctrine and the European Recovery Program (ERP). Kennan's views had a tremendous influence of a group of important political figures based in Washington. Known as the Georgetown Crowd, it included figures such as Dean Acheson, Frank Wisner, Joseph Alsop, Philip Graham, Katharine Graham, David Bruce, Clark Clifford, Walt Rostow, Eugene Rostow, Chip Bohlen and Paul Nitze. 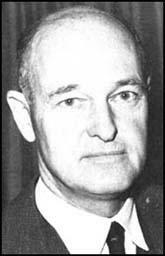 Kennan was a strong supporter of the Central Intelligence Agency (CIA) that was established in September 1947. Its role was to evaluate intelligence reports and coordinate the intelligence activities of the various government departments in the interest of national security. Frank Wisner remained concerned about the spread of communism and began lobbying for a new intelligence agency. He gained support for this from James Forrestal, the Defense Secretary. In June 1948, Kennan, drafted a directive that resulted in the Office of Special Projects. Wisner was appointed director of the organization. Soon afterwards it was renamed the Office of Policy Coordination (OPC). This became the espionage and counter-intelligence branch of the Central Intelligence Agency. Wisner was told to create an organization that concentrated on "propaganda, economic warfare; preventive direct action, including sabotage, anti-sabotage, demolition and evacuation measures; subversion against hostile states, including assistance to underground resistance groups, and support of indigenous anti-Communist elements in threatened countries of the free world". In 1949 Kennan clashed with John Foster Dulles over the issue of the recognizing communist China. Dulles leaked the story to a journalist and Kennan decided to resign from his policy planning post. He joined the Institute for Advanced Study at Princeton but in 1952 Harry S. Truman appointed Kennan as the United States ambassador in Moscow. On his return to Washington Kennan became critical of the foreign policies of President Dwight Eisenhower. Kennan opposed the formation of the North Atlantic Treaty Organization (NATO) and claimed that developments in Korea and Vietnam sprang from nationalism rather than Marxism. 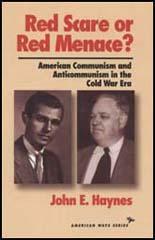 Senator Joseph McCarthy denounced Kennan as "a commie lover". John Foster Dulles contacted Kennan and told him he was no longer wanted by the administration. Ironically, his brother, Allen Dulles, offered him a job with the CIA. Kennan refused and decided to become an academic. In 1956 Kennan was appointed as professor of historical studies at the Princeton Institute and while there revised his views on containment. Kennan now advocated a program of disengagement from areas of conflict with the Soviet Union. He remained at Princeton until John F. Kennedy appointed Kennan as the United States ambassador to Yugoslavia (1961-63). Books by Kennan include the Realities of American Foreign Policy (1954), Russia Leaves the War (1956), Memoirs: 1925-1950 (1967), Russia and the West (1967), The Nuclear Delusion (1982) American Diplomacy, 1900-50 (1985), Soviet-American Relations, 1917-1920 (1989), Around the Cragged Hill: A Personal and Political Philosophy (1993) and At a Century's Ending: Reflections, 1982-95 (1997). George Kennan died on 17th March, 2005. At the bottom of the Kremlin's neurotic view of world affairs is traditional and instinctive Russian sense of insecurity. Originally, this was insecurity of a peaceful agricultural people trying to live on vast exposed plain in neighborhood of fierce nomadic peoples. To this was added, as Russia came into contact with economically advanced West, fear of more competent, more powerful, more highly organized societies in that area. World communism is like a malignant parasite, which feeds only on diseased tissue. This is the point at which domestic and foreign policies meet. Every courageous and incisive measure to solve the internal problems of our own society, to improve self-confidence, discipline, morale and the community spirit of our own people is a diplomatic victory over Moscow, worth a thousand diplomatic notes and joint communiqués. It is clear that the main element of any United States policy towards the Soviet Union must be that of a long-term, patient but firm and vigilant containment of Russian expansive tendencies. It is clear that the United States cannot expect in the foreseeable future to enjoy political intimacy with the Soviet regime. It must continue to regard the Soviet Union as a rival, not a partner, in the political arena. It must continue to expect that Soviet policies will reflect no abstract love of peace and stability, no real faith in the possibility of a permanent happy coexistence of the socialist and capitalist worlds, but rather a cautious, persistent pressure towards towards the disruption and weakening of all rival influence and rival power. There are not many people who can be said to have changed the shape of the age they lived in, but the American diplomat George Kennan, who has died aged 101, was certainly one of them. Virtually singlehandedly, he established the policy which controlled both sides of the cold war for more than 40 years. The irony of the US "containment" approach towards the Soviet Union, which Kennan proposed in 1947, was that it assumed exactly the opposite shape to that which he thought he had recommended. The concept emerged from a tiny seed planted when an unknown US Treasury official sent a message to the American embassy in Moscow asking why the Russians were being difficult at the World Bank. The official could never have anticipated the page-upon-page response which clattered into the state department telex room on the afternoon of February 22 1946. The then US ambassador, Averell Harriman, was on leave and Kennan had been left in charge. "The occasion, to be sure, was trivial," he acknowledged later, "but the implications of the query were not. Here was a case where nothing but the whole truth would do. They had asked for it. Now, by God, they would have it." Kennan divided his message into five parts so that "each could pass as a separate telegram, and it would not look so outrageously long". What has gone into history as the Long Telegram ran to 8,000 words and triggered a seismic change in superpower relations. It was a detailed assessment of the psychology of the postwar Soviet regime, and recommended a number of principles to guide Washington's dealings with the Kremlin. Citing Stalin's belief that peaceful coexistence with the west was impossible because of its hostile encirclement of his country, Kennan stressed the Soviet dictator's determination to do everything to advance Soviet might and, simultaneously, reduce the strength of capitalist countries. He counselled that "this does not represent the natural outlook of the Russian people, who are, by and large, friendly to the outside world, eager for experience of it, eager to measure against it the talents they are conscious of possessing, eager, above all, to live in peace and enjoy the fruits of their own labour." But the US was obliged to deal with a ruling Soviet elite that would cleave firmly to Stalin's line. These apparatchiks, Kennan argued, lived in an atmosphere of oriental secrecy, with no belief in objective truth. "There is good reason to suspect that this government is actually a conspiracy within a conspiracy and I, for one, am reluctant to believe that Stalin himself receives anything like an objective picture of the outside world," he added. The most effective American response to this situation, he went on, depended on the health of its own society. "World communism is like a malignant parasite, which feeds only on diseased tissue. This is the point at which domestic and foreign policies meet. Every courageous and incisive measure to solve the internal problems of our own society, to improve self-confidence, discipline, morale and the community spirit of our own people is a diplomatic victory over Moscow, worth a thousand diplomatic notes and joint communiques." The telegram caused a sensation in Washington, where it was widely circulated. Its impact on the secretary of state, Dean Acheson, led to Kennan's swift appointment as director of foreign policy planning. Kennan was an old-fashioned conservative, not a neo-conservative who would use force to impose an American political gospel around the world. He lamented the cult of economic growth, the paving over of nature, the Vietnam War, and the notion that security emanates from a nuclear arsenal that could never be used. His aim was to find the most frugal means for preserving the preeminent power of the United States after World War II. ''This whole tendency to see ourselves as the center of political enlightenment and as teachers to a great part of the world strikes me as unthought-through, vainglorious, and undesirable," Kennan said in a 1999 interview. ''I would like to see our government gradually withdraw from its public advocacy of democracy and human rights. I submit that governments should deal with other governments as such and should avoid unnecessary involvement, particularly personal involvement, with their leaders." One need only recall President Bush's imprudent talk of peering into the pure soul of Russia's President Vladimir Putin to realize that nothing could be more antithetical to the practice of the current Bush administration. Kennan's original outlines of a containment policy in his famous Long Telegram of 1946 and in his article the following year in the journal Foreign Affairs assumed that the Soviet system was unsustainable, that schisms were inevitable among the disparate communist regimes in Moscow, Beijing, and Belgrade, and that if America and its allies waged a patient political struggle they would inevitably outlast the Soviets. Kennan's drive was not to change the governments in other countries but to keep unavoidable enmities with foreign powers from changing America. ''We have about 50 percent of the world's wealth but only 6.3 percent of its population," Kennan wrote in a Policy Planning Study of 1948. ''In this situation, we cannot fail to be the object of envy and resentment. Our real task in the coming period is to devise a pattern of relationships which will permit us to maintain this position of disparity." Kennan was an unabashed elitist and an unsentimental realist in his counsel to statesmen. But when compared with the self-deluding misuse of American power that passes for conservatism today, Kennan's lucid view of the world inspires nostalgia. George Kennan, the Milwaukee-born scholar-diplomat who died at age 101 Thursday, lived a life not only of rare accomplishment but of paradox. As the author of a policy that urged the political "containment" of the Soviet Union, he was probably the 20th century's most famous U.S. expert on Russia. Yet throughout his long life, he remained shy, introverted and uncomfortable in the limelight. Although he was widely and justly honored for his diplomatic and literary achievements, he always regarded himself as an unappreciated outsider. His two-volume memoirs are replete with wrenching complaints about the unwillingness of Washington to hear and heed his advice. So out of place did he feel that he described himself as a "guest of one's time and not a member of its household." That brief quote provides a small window not only into Kennan's loneliness and detachment but into the elegance and candor he brought to the writing of his 22 books. It is not surprising that historian John Lewis Gaddis, who is preparing a biography of the diplomat, said Kennan saw himself as a literary figure. "He would have loved to have been a poet, a novelist." No one can read Kennan's memoirs without seeing the author as a fully human being, very much in love with his country and his family and deeply tormented by what he thought was the futility of reasoned argument and the growth of militarism throughout the world.